"For many people, the main purpose in visiting Siem Reap is to see the great temples of Angkor. Hidden in the Cambodian jungle for centuries, the ruins of Angkor were discovered only in 1861. Does the sound of a �lost civilisation� appeal to you? It certainly exudes an element of mystery, prompting hordes of tourists to visit it everyday!" Siem Reap is the nearest town to Angkor Wat. 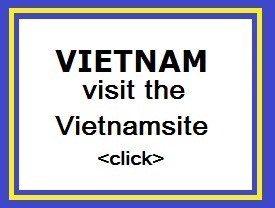 The name Siem Reap actually means the "defeat of Siam" � today�s Thailand. It is quite a small town and you can walk around to see the city. It is reported to be safe enough to be out after dark. As one might expect, the focus for most visitors to Siem Reap are the ancient temples of Angkor, visiting the great Tonle Sap Lake, and other daytime activities. But to think that there is not much to do after dark, would be wrong. After all, this is a tourist town. The liveliest areas in Siem Reap after dark are Pub Street, the Old Market area, the alley and lane off Pub Street, and the Night Market area. Siem Reap has colonial and Chinese-style architecture in the Old French Quarter, and around the Old Market. In the city, there are museums, traditional Apsara dance performances, Cambodian cultural village, souvenir and handycraft shops, silk farms, rice-paddy countryside, fishing villages and a bird sanctuary near the Tonle Sap Lake. 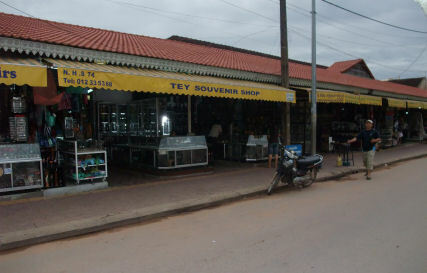 The town is 7 km from the Siem Reap-Angkor International Airport. Siem Reap is accessible by direct flights from many Asian cities, and by land from Phnom Penh and the Thai border. It�s also accessible by boat (via the Tonle Sap lake) and bus from Phnom Penh and Battambang. A new airport is planned 60 km from Siem Reap. It is possible to get from Bangkok to Siem Reap via Poipet. 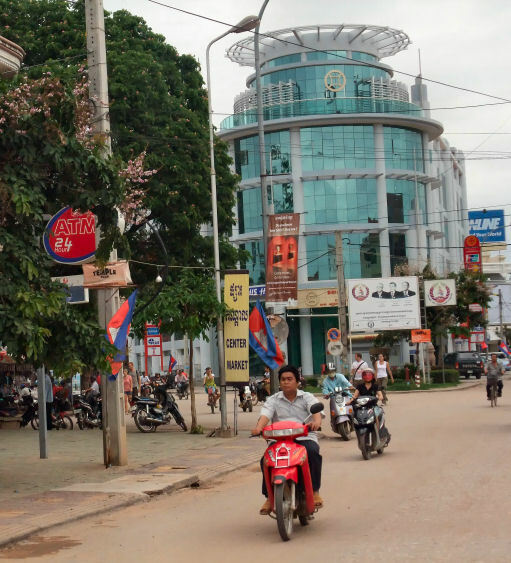 The road from Poipet to Siem Reap is newly paved and sealed as of 2013. If travelers take a taxi from Bangkok to Poipet and from Poipet to Siem Reap, it is possible to complete the whole journey in 6�10 hours, depending on border-crossing times. This journey is also possible by bus and minibus. Siam Reap draws visitors for its world-famous monuments nearby: Angkor Wat. Visiting the hundred-or-so temples and studying the forests around Siem Reap is still the main reason for being in the city. If you are fed up with seeing more temples you can still spend a couple of extra days to relax here and find some nice things to do in the area. The huge natural reservoir, Tonle Sap, is just to the south of Siem Reap and provides relaxing boat trips. Banteay Chhmar is located 30 km north of Angkor Wat and is a reasonable safe haven to visit. Due to its closeness to Angkor Wat it is no surprise you can find a lot of hotels and restaurants in Siem Reap to accommodate the large influx of travellers. There is a crocodile farm in the south of Siem Reap that is well worth a visit. You can easily arrange a driver to go to the temples and many of them are very well informed about the temples. Other very good and inexpensive ways of getting around include by motorcycle or bicycle. The Tonl� Sap, Khmer for "Vast Body of Fresh Water" and more commonly translated as "Great Lake" is a combined lake and river system of major importance to Cambodia. It is located in the heart of Cambodia about 30 minutes south of downtown Siem Reap and has many attractions. There are three floating villages around Siem Reap - Kompong Khleang, Kompong Phluk, Cheong Kneas, with Kompong Khleang considered the most authentic.